**UPDATED** Project Management Sessions in Portland, Now With Extra Schedule Deliciousness! ** UPDATED ** We're going to live broadcast everything so those who are unable to join in person can still join virtually! Keep tabs on the #pmofs IRC chan and ask your questions (moderated by Don Vandemark) and we'll post the link to view here asap wednesday morning portland time. Now also posted on Drupalcon Portland website! Read more about **UPDATED** Project Management Sessions in Portland, Now With Extra Schedule Deliciousness! 5 Ways To Get Your Project Management Fix in Portland with PMoF's! Let’s get some Project Management up in here! Read more about 5 Ways To Get Your Project Management Fix in Portland with PMoF's! 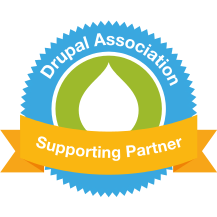 I’ve been to over a dozen DrupalCons in seven years, starting with the first one, in Antwerp. But it’s a special one for me because it’s the first time I’ll attend as a Commerce Guy, and the first one in my adopted home of Germany.